The letter below is from my dear friend Bishnu Tamang. Bishnu spent over 20 years in the British Army assigned to the Royal Gurkha Rifles and Parachute Regiment. He retired from the British Army and now leads the Ghurka Security Services, based in London. He is a man of impeccable honor, bravery and integrity. If you are going to donate to relieve the suffering in Nepal, he's the way to do it. Funds will reach the point where they are needed without overhead. I know that you are all very much concerned about the recent earthquake tragedy in Nepal. Yet I am writing this letter to describe to you that Nepal has been hit by one of the worst earthquake in history. 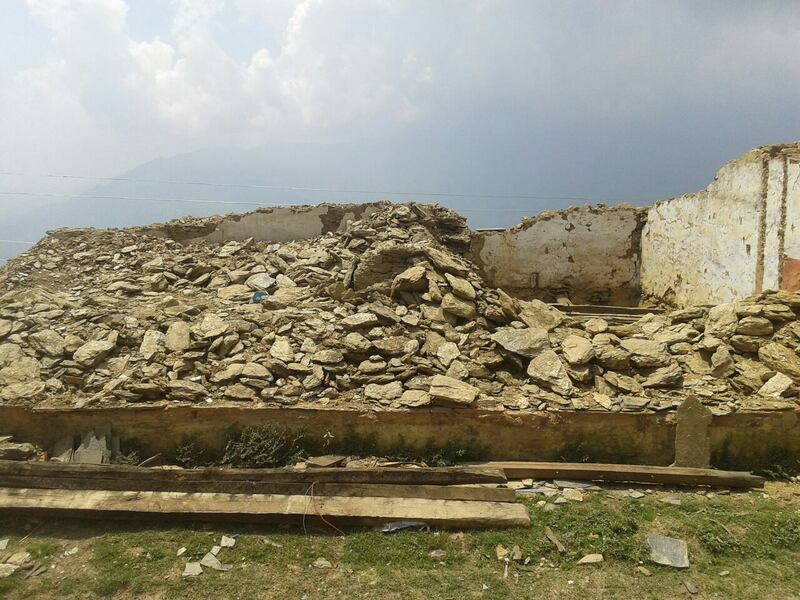 It struck in the central point of Gorkha District, 80 km away from Kathmandu, Nepal. 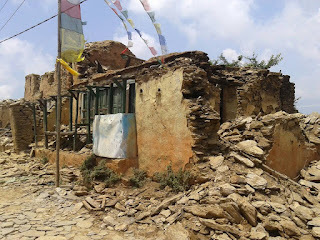 I and my family were brought up in Gorkha and are deeply connected to this little home town. 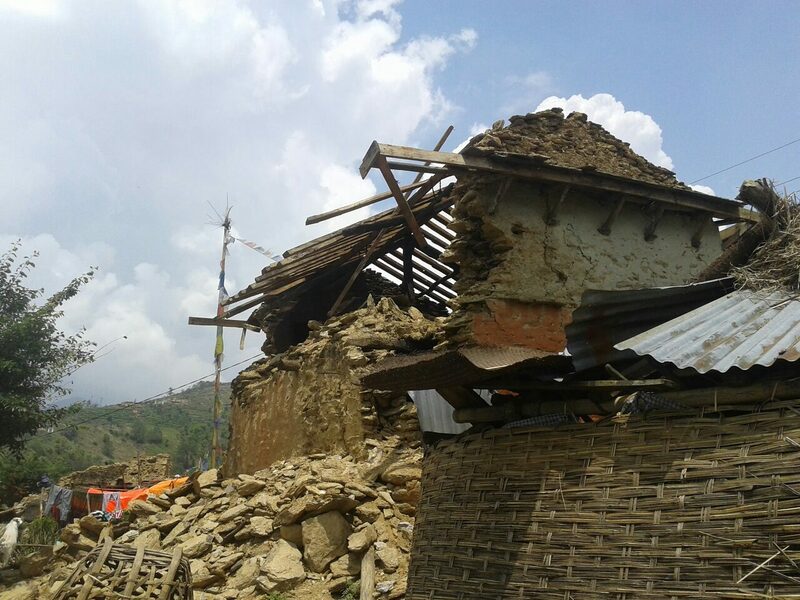 This calamity has brought catastrophic consequences especially in Gorkha District, (Sourpani Village Development Committee (VDC), my home village, Hanspur VDC my wife’s home village and nearby VDCs namely Simjung, Barpak and Laprak), killing hundreds of people and the count still continuing, all houses and live stocks have been destroyed. According to telephone conversation with my brother in-laws there are many more injured and the worst case is equal numbers of people and animals are trapped in the houses and in jungles. There is scarcity of water, food, shelter and medicines for those who survived the earthquake. Families and relatives of the victims cannot cope with the scale of loss and are mentally and emotionally stressed. The worst is that their deceased family members and live stocks are starting to rot under the rubbles which will be washed away and will infect drinking water sources, food and vegetables by the monsoon season approaching next month. Apart from the fatalities and devastation, there are real risks of disease outbreaks due to lack of clean water, medical supplies and inadequate sanitation. Numbers of national and international charity organisations are helping now in Nepal however, they are not reaching small villages due to lack of transportation. 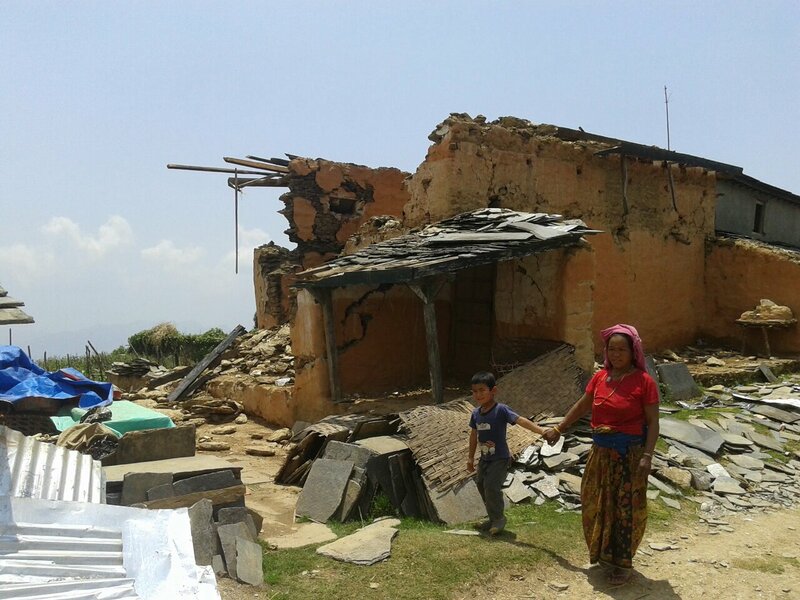 The earthquake victims need rescue, rehabilitation and rebuild. Therefore; my immediate plan is to supply them with food, warm cloths, medicines and shelter. Second stage is to buy some corrugated steel panels for roof to protect the homeless from heavy monsoon rain for next three months. Third stage is, where possible helping them to rebuild houses, schools and clean provision for drinking water. On behalf of the victims, myself and my family who have lost our families, relatives, homes, schools and livelihood, I would like to appeal to all my friends and family to make some contribution to help victims of this disaster. I would like to assure you that all donations will be forwarded to the victims of this disaster and every penny will be accounted for. Or, if any of my friends wish to lead a project personally I welcome the proposal because it will take many years to rebuild their infrastructure, i.e. schools, clean drinking water or worship places. Please put reference as NEPAL EARTHQUAKE and your name. Your kindness and humanitarian support will be remembered by each and every one of us in our whole lives and the next generation of our families. We are very grateful for thinking about us at this unfortunate situation and your invaluable support. against racism. Jorge Ramos is an American immigrant. to the United States as a student in 1983. When I went to work in Mexico, the last time, it began in 2008. I landed at the airport in Mexico City and friends took me to a very upscale restaurant in the Santa Fe district (new money meets old money). Everyone in the restaurant was a "Mexican" and most of them were whiter than I was. The only non-whites were the people who cleared the dishes. Yes, it felt like a nice restaurant in New York City, except that all of the diners spoke Spanish with each other. The same was true when I had breakfast the next day at "The Cardinal" restaurant at the Hilton Hotel in the Reforma...And dinner the next day at Puerto Madera in Palonco. Mexican society is incredibly racist and stratified based primarily on race - far more so than anything that I have seen in the US, including behavior in the Deep South. I don't criticize it usually. That's on them. 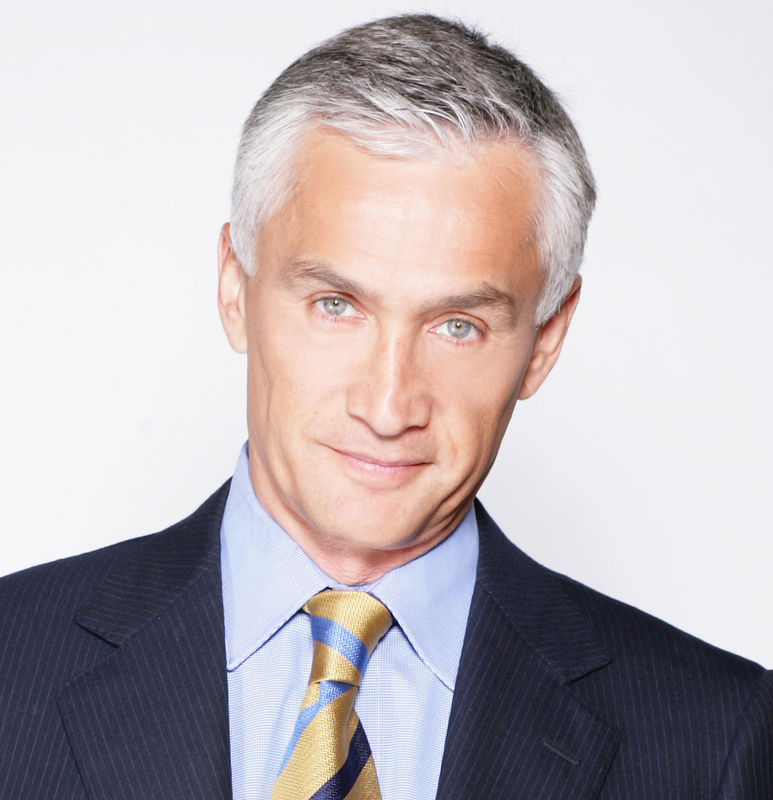 I do take issue with it when white men such as Ramos, wheel out a Spanish accent to express outrage at American racism against Mexicans. Wealth in Mexico rests in the hands of a power elite who has relied on an open northern border that acts as a pressure valve for the discontented indians/meztizos in Mexico to flee to when things got unbearable. "They keep the "racist" focus on the Gringo. Mexico is a deeply racist country. Whatever sins the anglo is responsible for in the New World the Spanish have us beat by miles. The crimes of the Conquistadors surpass anything we every did, and I include slavery. By the way, the US was responsible for 17% of the slaves imported into the New World and 100% of the blame and guilt. Our Spanish friends South of the Border deny their societies are stratified therefore how can THEY be racists?" By pushing the angry, frustrated peons off on the Gringo to the north (fools that they are). The Mexican elite gets tremendous political influence in America and a massive infusion of dollars that the illegal aliens in the US send home to their starving families -- and vast and continuing dollar supply that comes south from the sale of narcotics.